Safetey changing oil at 3,000 Mile? Why not 50 or 100 miles? 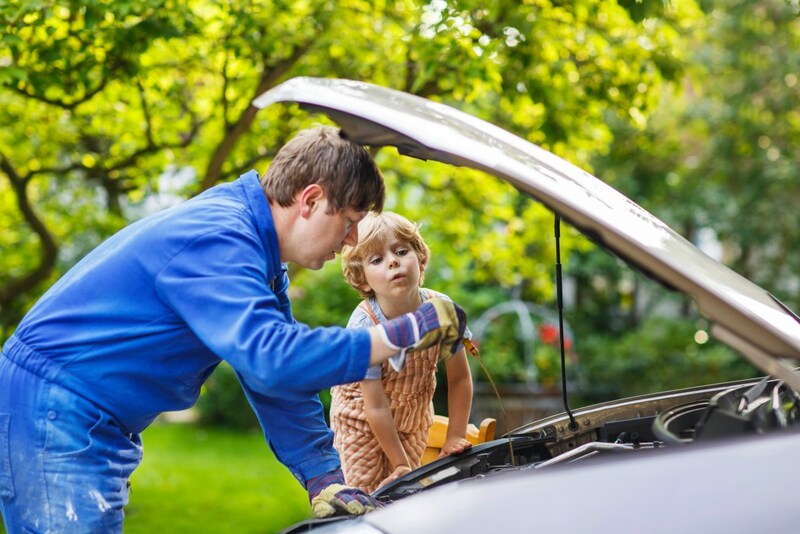 Changing your oil every 3,000 miles is a practice passed down for generations. The origin likely stems from the noble effort to provide consumers with a simple vehicle-maintenance rule that left plenty of room for error. Fast lube chains, which first entered the market in the 1970s, adopted and amplified the message through sustained marketing campaigns. Owned by major oil manufacturers, fast lube chains had a financial interest in seeing customers frequently and selling more oil, the vast majority of which was conventional. While this timeline helps provide context, it does little to address the emotional connection to changing oil every 3,000 miles. The reason so many motorists dutifully change oil every 3,000 miles is because their fathers and their mechanics – two of the most influential groups in automotive circles – told them they should. For many people, the 3,000-mile oil change is a tradition that ties them to the person who taught them many important life lessons, like how to keep your car running properly. Many families pass down traditions, and while the spirit of the tradition is upheld, many elements are updated to reflect current technology and lifestyles. Your call to a distant relative during the holidays may now require Skype instead of a rotary phone. Likewise, your annual family vacation may start at the airport instead of in the family station wagon. In the case of the 3,000-mile oil change, we can preserve the noble spirit of taking good care of our vehicles by establishing a habit of changing oil periodically, but not necessarily every 3,000 miles. Since the advent of the 3,000-mile oil change, advances in lubrication and automotive technology have rendered it outdated, like adding water to automotive batteries, replacing ignition points and adjusting the carburetor. Now, many vehicle manufacturers recommend changing oil every 5,000 miles or longer, with BMW calling for 15,000 miles between oil changes. Synthetic lubrication technology plays a significant role in moving beyond the 3,000-mile oil change interval. Synthetic motor oil offers better wear protection, improved resistance to temperature extremes and increased cleanliness properties compared to conventional oils. For that reason, it’s safe to use them longer than 3,000 miles. Achieved 72% better protection than required by a leading industry standard2, providing ultimate protection against extreme heat and the harmful deposits that can plague turbochargers. So, while it’s vital to change your oil and take care of your vehicle, it’s also important to advance your methods in lockstep with the latest technology. And modern synthetic oils have made the 3,000-mile oil change as dated as the rotary phone.